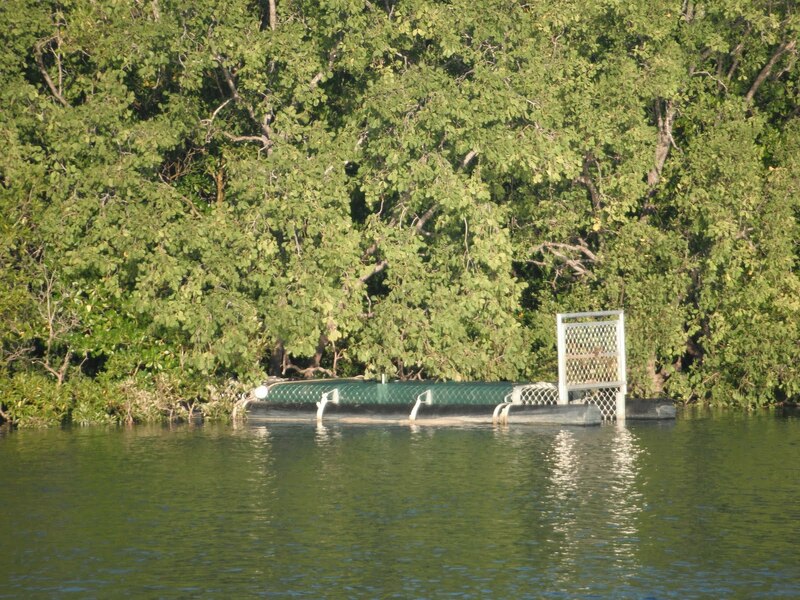 Darwin, Australia is a town perched high in the northern territory of Australia and home to many sailors. Sail boats freckle the harbor, rise and retreat from marina docks, bop on moorings and float in the distance on anchors. A floating world of broken dreams, dreams realized and dreams waiting to happen. Pandemic the Magic nautical bicycle patiently stands watch on deck as Maralinga, a 55 foot yacht motor sails from one side of the Darwin Harbor to the other in search of the boat yard. In the salty northern Australian waters, a collage of boats floats by. My favorite yacht resembles a pirate ship, the kind of boat I hope to not encounter on my sailing voyage to Indonesia. According to many, most of the pirates in the Indonesia waters have relocated to the east coast of Africa in search of other criminally acquired treasures. 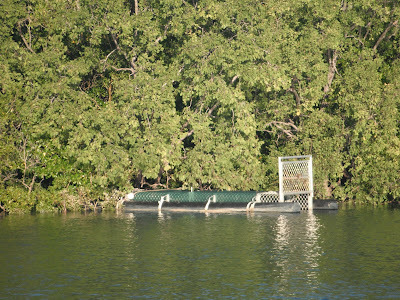 Open crocodile traps litter the harbor’s rocky shores waiting to capture the latest cheeky salt water crocodile. Jelly fish glow beneath the surface with a tantalizing don’t touch me stare of their luminous poisonous eyes. Back in Alaska, while camping amongst bears, wolves and moose, thoughts of nature and the frailty of being human occupies an earned space in every wilderness women’s mind. However, here in the ocean, the predators are of a different breed, equally humbling, another beautiful example of natures balancing act between mankind and species. The most inquisitive of the species I met a few days later in a toilet at the boat yard. 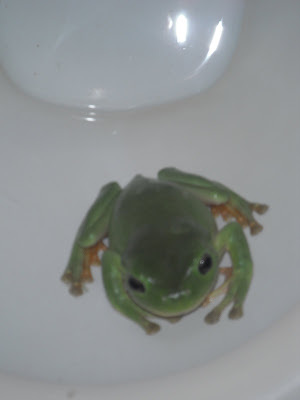 A tree frog had taken up residence in the toilet. Splashing with a cool just found the best pond ever moon sized perma grin, he batted his eye lashes at me and sent me a clear croaky message to go find another place for my yellow splash. So I did and reasoned that even in the toilet we can all live in harmony and went outside to pee with the trees. 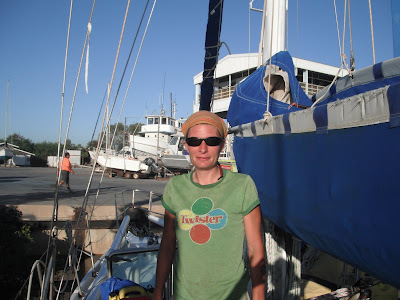 After having slept on anchor in the harbor on the way to the boat yard and prior to the meeting of the toilet frog we maneuvered the 55 foot yacht to the dry yard for a barnacle scraping and a good thick coat of paint. 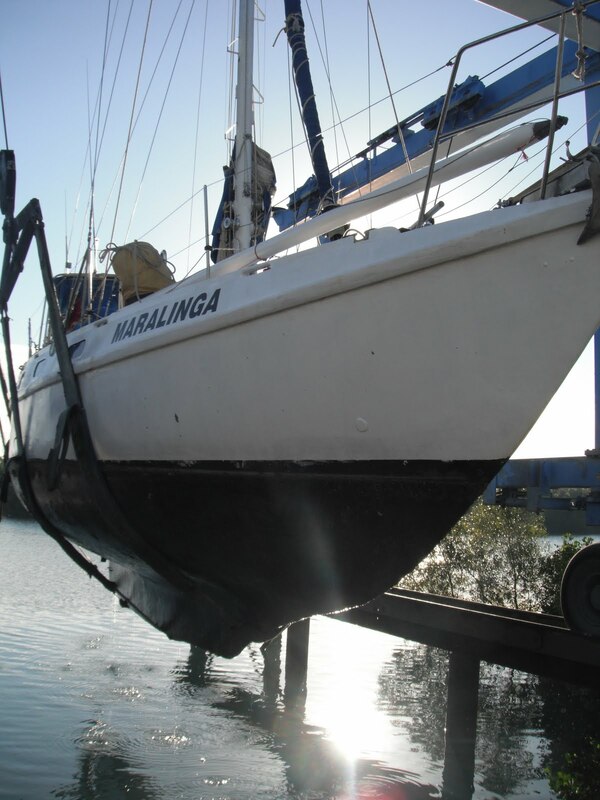 Maralinga the 55 foot concrete yacht has a dirty bottom and similar to a child in need of new pants, Maralinga slowly waddles through the salty harbor to the changing table for some TLC. Two days of scrapping and applying anti-foul paint later Maralinga returns refreshed in her clean pants to her floating home restrained to a dock in the marina where she anxiously awaits like the rest of us for the starting bell of the race/rally to Indonesia waters. This year a combination of race and rally boats, at last count 116, will depart together and sail north into Indonesian waters. A friend of mine will be taking the crew position on Maralinga and I will be crewing aboard Olza, a 38 ft steel Alberts yacht to Ambon, Indonesia. 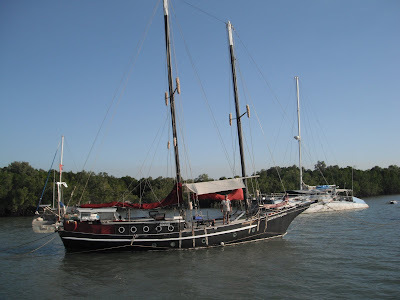 After the barley and hops fest in Ambon, Indonesia, yacht Olza, skipper Ted Wanta, Pandemic the magic nautical bicycle and myself will continue sailing towards Manado, Seranesi, Indonesia. 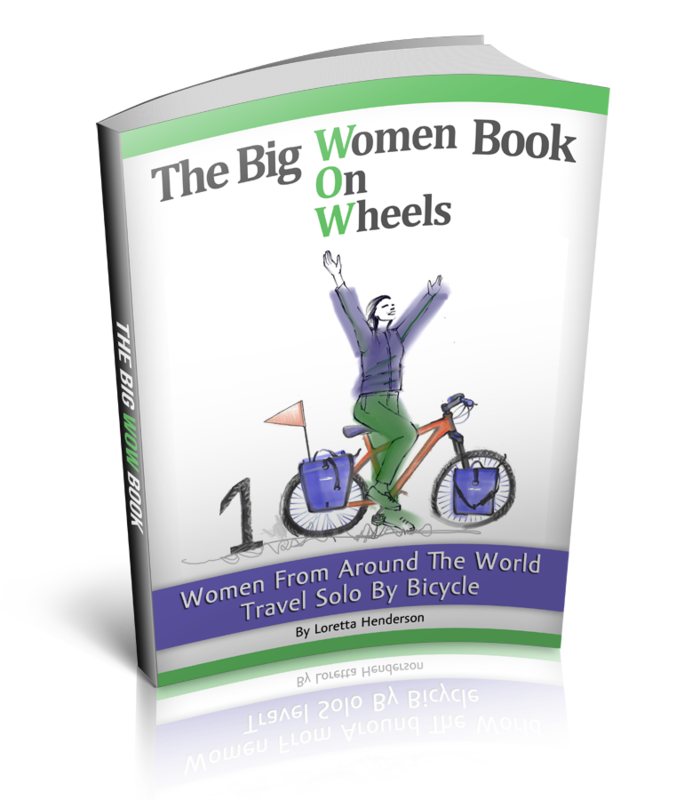 At Manado, I will continue by bicycle through mountainous, rain forested Indonesia in search of active volcanoes, Sulawesi apes and a glimpse of ancient tribal life.